Welcome to Hack for New Hampshire! All UNH undergraduate and graduate students are invited to join us for 24 hours of creating, hacking, and competing at the 2019 Hack for New Hampshire Event. We invite students to create an innovative solution to "Help New Hampshire Be Safer or More Sustainable." The event will be held on Sat. Feb 16-Sun. Feb 17, 2019 at the UNH InterOperability Lab, Durham, NH. Collaborate with other classmates across all UNH colleges and create your own solution or idea. There will be prizes, food, games, and more! Form a team of 2-4 students ahead of time or ask us to match you to a team. i2 Passport students – check the Resources tab for details about i2 Passport Visa Stamp Credits for this event. Registration is required and please email Mara Bernazzani with any questions. Thank you to all who participated in the Hackathon, you can learn about last years hackathon event in the video below, enjoy! Thank you to last years Hack New Hampshire Sponsors! The ability to pay and get paid is critical for every business. But business payments are inherently complex and getting more so every day, making it difficult for organizations to create a business payments strategy that helps them be successful. Bottomline Technologies (NASDAQ: EPAY), an innovator in business payment automation technology for 30 years, eliminates that struggle by helping companies make complex business payments simple, smart and secure. Since 1912, Liberty Mutual Insurance has committed themselves to providing broad, useful and competitively-priced insurance products and services to meet their customers' ever-changing needs. Their delivery on this commitment is the reason they're now the third largest property and casualty insurer in the U.S. based on 2012 direct premium written according to the National Association of Insurance Commissioners. Arista Networks was founded to pioneer and deliver software-driven cloud networking solutions for large data center storage and computing environments. Arista's award-winning platforms, ranging in Ethernet speeds from 10 to 400 gigabits per second, redefine scalability, agility and resilience. Arista has shipped more than 20 million cloud networking ports worldwide with CloudVision and EOS, an advanced network operating system. Committed to open standards, Arista is a founding member of the 25/50GbE consortium. Arista Networks products are available worldwide directly and through partners. Please note, some scheduling may change during the event. Below are some resources we put together for you! Be sure to setup your Slack Account using your UNH or IOL email address. Slack will be used throughout the event for communication amongst support and teams as well as other announcements. Technical Innovation (25%) Did your group discover a unique problem and does the solution meet the challenge? Creativity/Uniqueness (25%) How creative has your group been in addressing the challenge? Did you come up with a radical approach, or did you follow existing patterns/solutions? Usefulness (25%) Is the solution realistic? Could this solution be implemented? Presentation (25%) Was the information communicated clearly? Quality of delivery/pitch. Timothy Carlin is the Senior Executive, Software Development and started at the IOL as an undergraduate student engineer while pursuing a B.S. in Computer Science from the University of New Hampshire in 2004, until graduating in May 2006. During that time, he was a core member of the IPv6 and routing testing teams, as well as one of two lead developers of the IOL’s IPsec testing tool. Plumlee is a lecturer in the Computer Science department at UNH, where he teaches sophomore- and junior-level courses, including a course involving Android development. He received his B.S. in 1995 and his Ph. D. in 2004, both from the CS department at UNH. Matt has worked short stints in industry (most recently as a software engineering manager) sprinkled in among his 9 years of teaching, and has done visualization and parallelization research for the Center for Coastal and Ocean Mapping (CCOM), also at UNH. 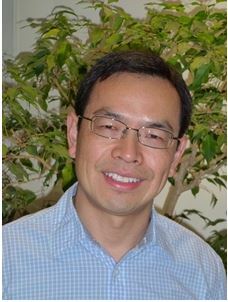 Henry Yang has been an enterprise architect with Bottomline Technologies since 2012. He worked with multiple lines of businesses on various enterprise level initiatives such as coding web and mobile based applications, cloud infrastructure automation, and artificial intelligence. 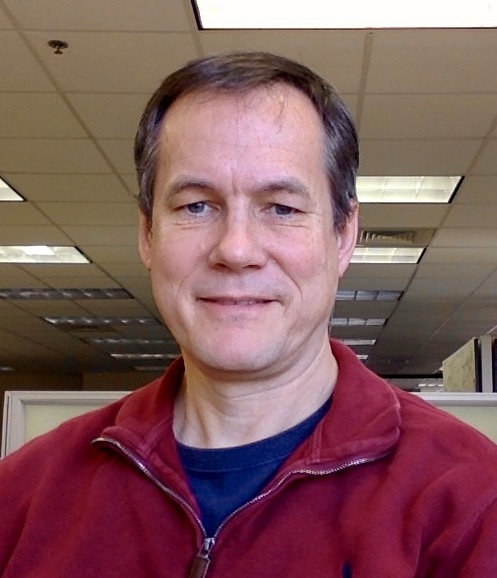 Prior to joining Bottomline he worked for Tibco, Xerox and IBM, as well as startup companies. He has a M.S. in computer science from the University of Alabama. His wife is a faculty member at UNH. Wendy is a long term Liberty Mutual employee with experience on the business side as well as IT. She has held positions in their personal lines, commercial lines and corporate teams. She was a key contributor to establishing an annual hackathon event for Liberty Mutual employees that continues to generate excitement and innovation pipeline ideas. The experience gained in facilitating hackathons has been expanded to other areas of the company as well as shared with external partners. She has a BS in Finance from Ball State University in Muncie, IN; an MBA from Southern New Hampshire University and is a 20+ year resident of Durham, NH. Jeff has worked in the computer networking industry for the past 26 years. Jeff has worked at many small startup companies as well as most of the larger telecommunications corporations including Cascade Networks, Juniper Networks, and most recently Arista Networks. He has helped to launch various startup companies dealing with computer networking and switching technologies as well as intelligent transformers for use in the power grid. Most recently, Jeff has been working in the network security field developing a hardware based IPSec implementation for Arista Networks. Jeff holds a Master of Science in Computer Science from Worcester Polytechnic Institute. Create a solution that puts New Hampshire at the center of your design! Help New Hampshire Be Safer or More Sustainable. While we want you to come up with a creative solution, we are looking to award the team that demonstrates the most attention given to its user base. These are just some ideas and options for your project; you are not required to use any specific API for this challenge! The use of Liberty Mutual’s API is not required.